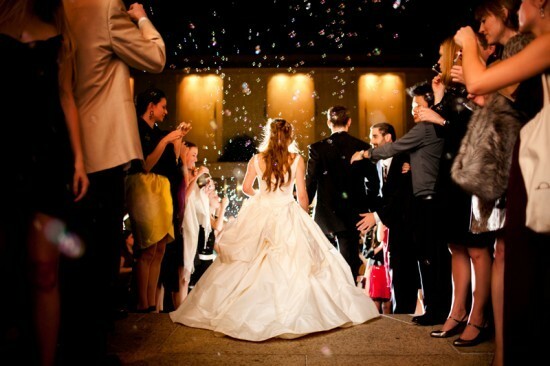 It’s the end of the reception, and the final photo opportunity for the bride and groom, why not go out big?! The “send off” is back! 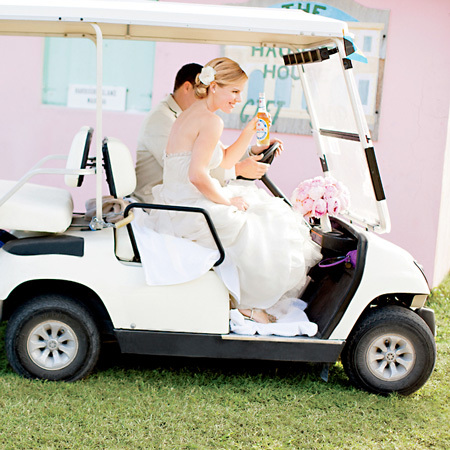 There are so many fun ways to exit your celebration! 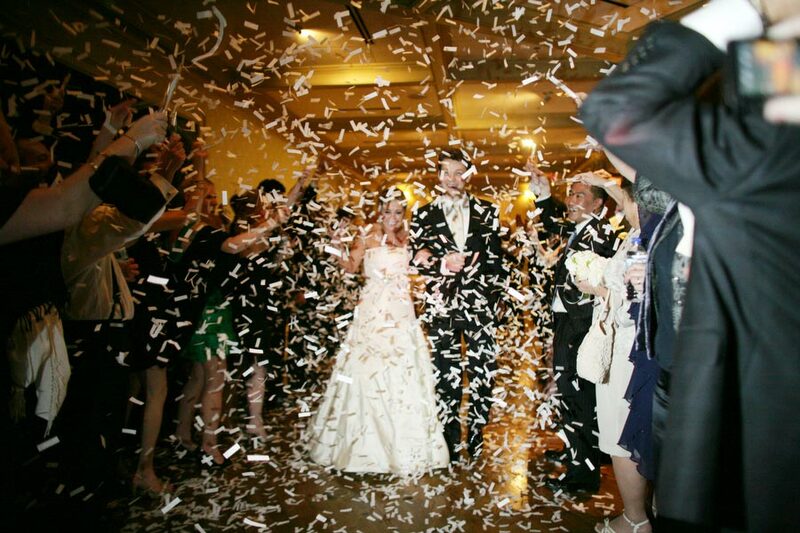 Years ago guests would throw rice as you left the party, now that rice has been replaced with flower petals, bubbles , confetti or even balloons! 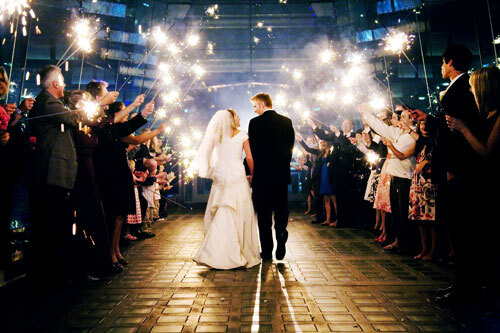 Sparklers are still big, allowing your guests to light the way as you depart. Such a great photo! 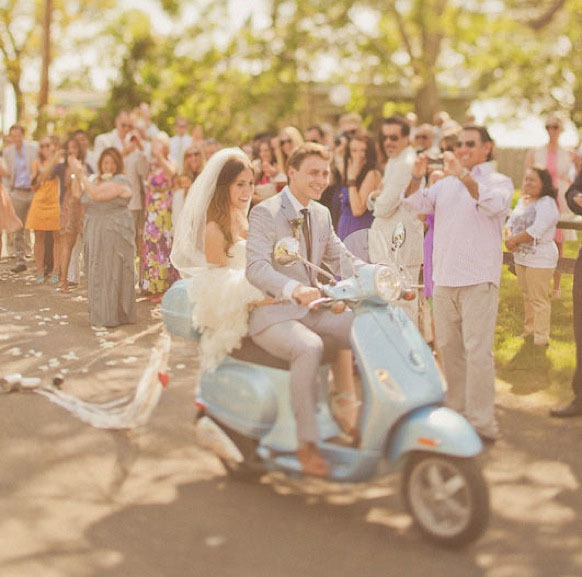 Have your guests line up and cheer you on as you run through together as husband and wife! 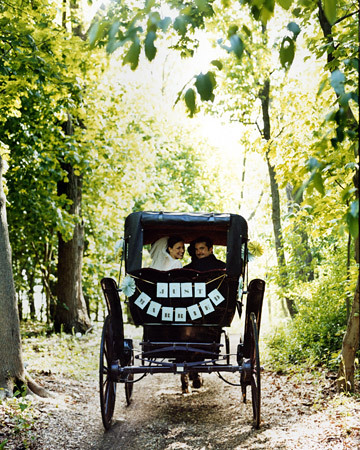 Some brides change before the big send off, or some brides jump right into the decorated car in their gown! And who says it has to be a car? I’ve seen bikes, boats, limos, even a horse and carriage! Use your imagination! Signage of course makes this photo even more memorable! 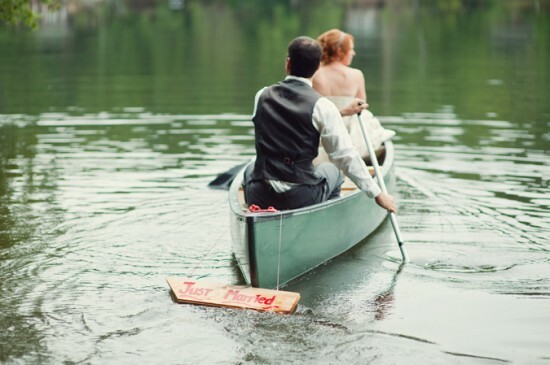 A simple “just married” sign says it all! 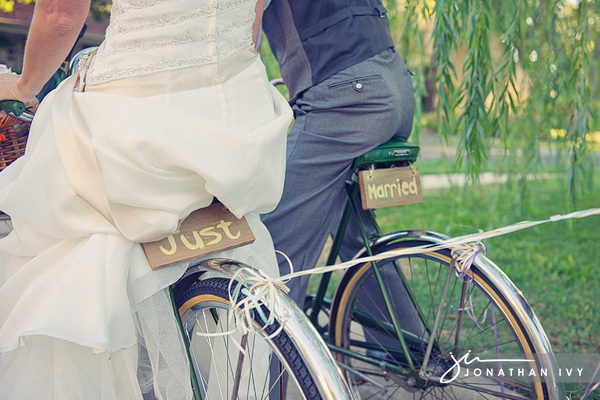 Let everyone on the road know you were just married, that you just celebrated after you said “I Do”! 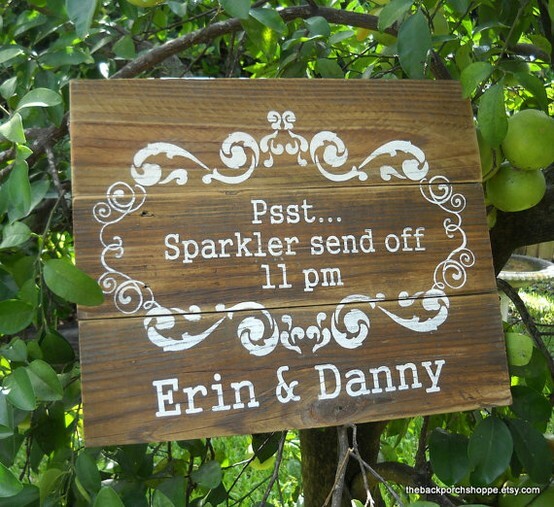 A send off sign is also great for your guests, letting them know what time you’ll be saying “goodnight” to your party and “hello” to your wedding night. 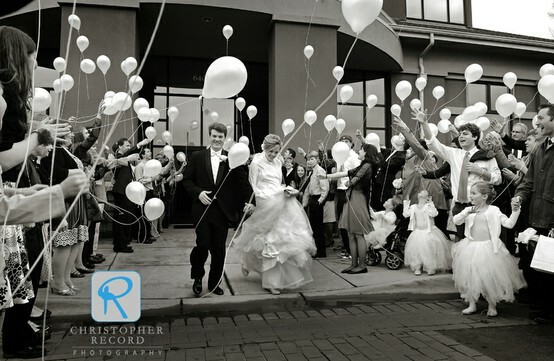 Here are a few of my favorite photos of wedding send offs! Enjoy! 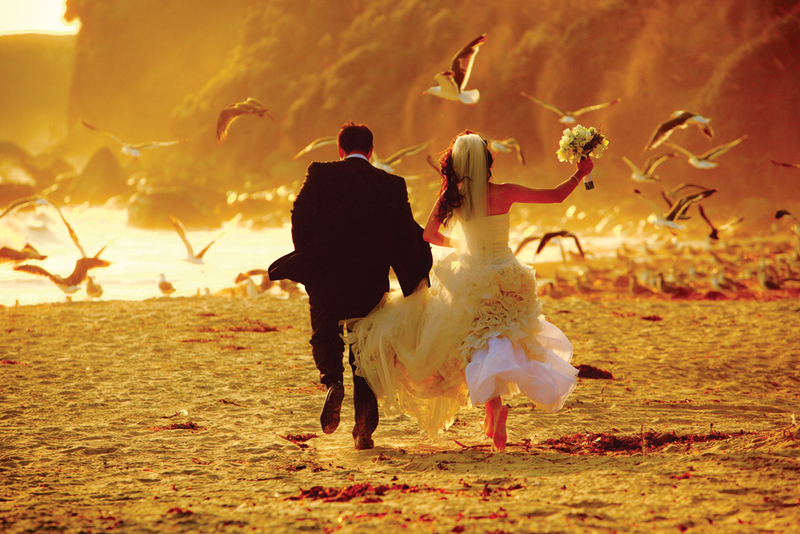 Previous Post 5/27/2012: marisa & aaron’s wedding day!